Why drive just any normal sedan when you can drive this luxurious new 2019 INFINITI Q50 LUXE from Red Noland INFINITI in Colorado Springs? This stunning INFINITI Q50 offers industry-leading performance, comfort, technology and safety features in one amazing car. This elegant sedan is something special. 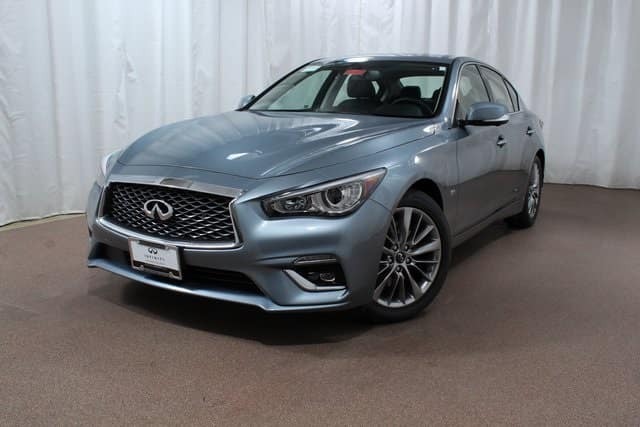 Join the league of INFINITI lovers with this feature-filled 2019 INFINITI Q50 LUXE! At first look, this beautiful new Q50 offers owners a sleek, distinctive style. Under the hood, superior performance is provided by a 300-horsepower 3.0-liter twin-turbo V-6 engine. This powerful engine is finely-tuned for ultimate performance and fuel-efficiency, earning an estimated 19 MPG in the city and an astounding 27 MPG on the highway. Mated to the robust performance engine is an efficient 7-speed automatic transmission with Adaptive Shift Control, convenient Hill Start Assist, and dual transmission fluid coolers. An efficient full-time all-wheel drive system provides additional traction when needed due to slippery road conditions. The passenger cabin features luxury appointments the whole family will enjoy. Plush heated Graphite leather seats are extremely comfortable for your daily commute or family road trip. Genuine wood details are found throughout the cabin. Bask in premium luxury features including a convenient INFINITI InTouch Navigation system, express open/close sunroof, remote engine start, heated steering wheel, 60/40 folding rear seats, and much more. The ProAssist Package adds world class safety features including a handy Around View Monitor with Moving Object Detection, Front and Rear Sonar systems, Rear Cross Traffic Alerts with Back-up Collision Intervention, and a Blind Spot Warning system. Well-qualified buyers can drive this stunning new 2019 INFINITI Q50 LUXE home today with a low APR of only 1.9% for 72 months (with approved down payment). This incredible financing offer ends on April 1, 2019, so now is the time to purchase a beautiful 2019 Q50. 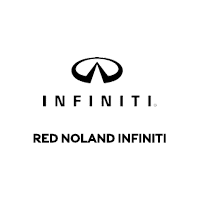 Contact our sales experts at Red Noland INFINITI for more information on this luxurious family sedan today!